As soon as you have your new lawn down you need to water it. If you don’t, your lawn will dry out and start turning brown. If you are doing a large area don’t wait until it is all finished, start watering once you have a few metres down. The first hour in the sun is critical. Thoroughly soak every square metre before moving onto the next section. The surface soil must be kept moist until the roots of the turf have established. The amount of water your lawn will need will depend on local conditions. You can leave a towel out on the lawn for the first few days, when the towel dries out, your lawn will immediately need more water, this is very critical for the first few days. Also move the towel around just so you don’t do any damage to the lawn. To test, try to lift a corner of the turf, if it holds well it is established, if it comes away in your hand it needs more time. This is also the way to determine whether the lawn is established enough to be mown. This can take between 1 to 8 weeks depending on location and the time of year. If your lawn becomes slightly patchy 4 to 6 weeks after installation it is usually due to extreme weather or lack of correct watering during early establishment. There is not a lot you can do if this occurs, except give it some time and it will return to normal. Once your lawn is established watering can be cut right back. 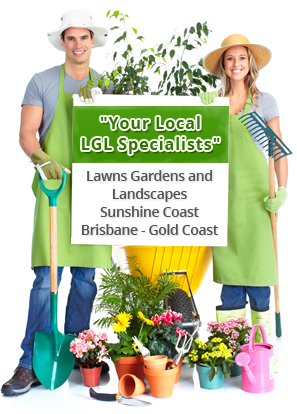 Sir Walter lawns in most parts of Australia hardly need any regular watering to keep alive once established. Except in really sandy locations such as Western Australia where weekly watering will be required. Always check and comply with any local water restrictions.